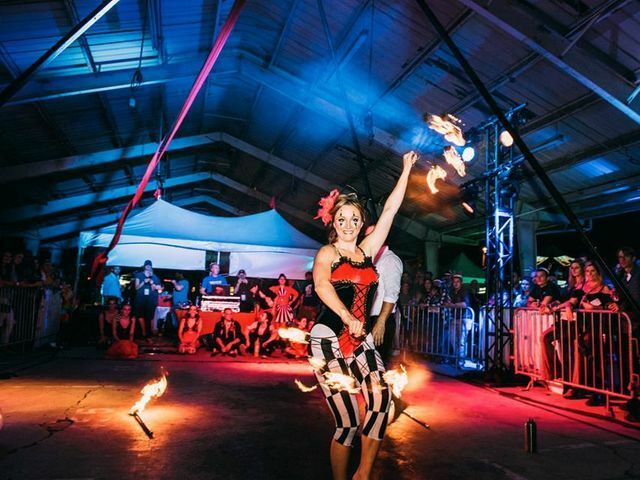 Check out Beyond Wings fire dancers, aerialists, jugglers, stilt walkers, and performers regularly at the NEW Plaza Maria Music City of Nashville! Check out the weekend performance schedule and stay updated on our instagram @beyondwingscircus The Plaza Mariachi CULTURAL EXPERIENCE offers a unique blend of culture, art, music, entertainment, food, services and retail in one location. It begins with decor in the style of traditional marketplace streets from old Mexico and weaves Latin culture into a walk of history. You’ll hear Hispanic music, see Latin relics, discover old and new Mexico in food, fashion and so much more. Check out Salsa Night fire dancers at Plaza Mariachi! Every Friday, Saturday, and Sunday from 11 pm - 2 am.